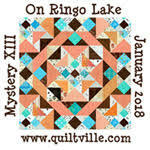 AlliKat Quilts: Double Wedding Ring / Metro Rings - Half Done! 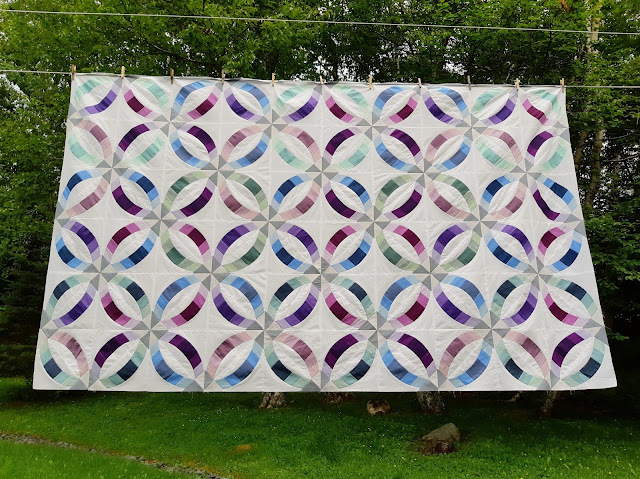 I am at the half way point of making this quilt for my daughter Ainsley and her fiance Jack so I thought it deserved a post. 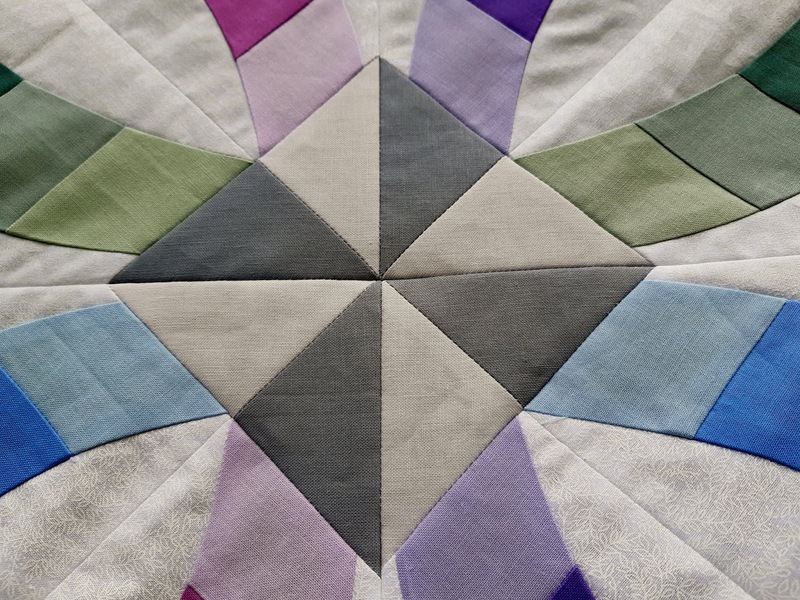 First off, here's a close up of one of the pinwheels formed where the blocks meet. 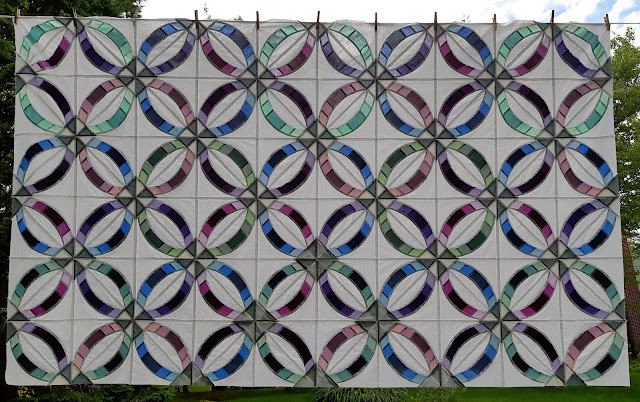 Next, here's a picture from the back with a stained glass window effect. 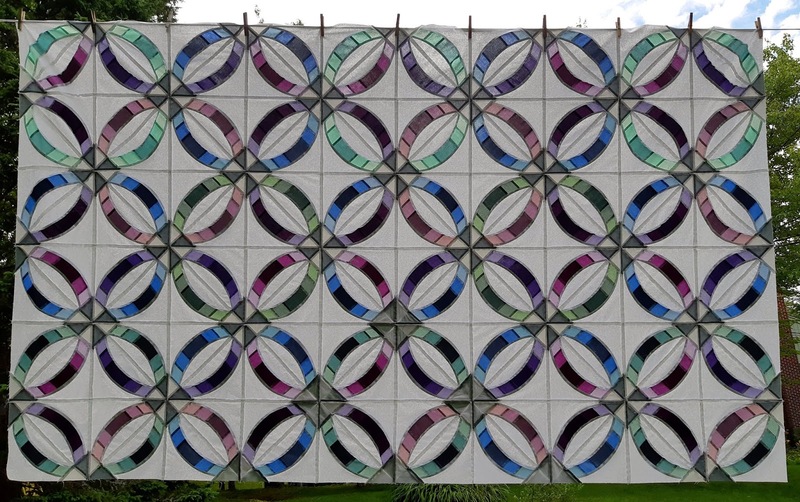 And saved for last is a picture of the completed top half of the quilt. Well, guess I better get back to work and make the second half!